Designed by Herbert J. Krapp and built by the Shuberts in 1917, the theatre originally opened as the Plymouth Theatre in 1918. It was leased to producer Arthur Hopkins whose first production at the venue was the comedy A Successful Calamity, starring William Gillette and Estelle Winwood. The Shuberts regained control of the theatre in 1948 after the death of Hopkins. 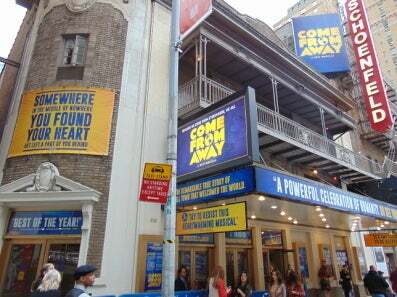 It became a designated New York landmark in 1987 and was renamed the Gerald Schoenfeld Theatre in 2005 to honour the late chairman of the Shubert Organization.